Take advantage of the power of subscription automation. 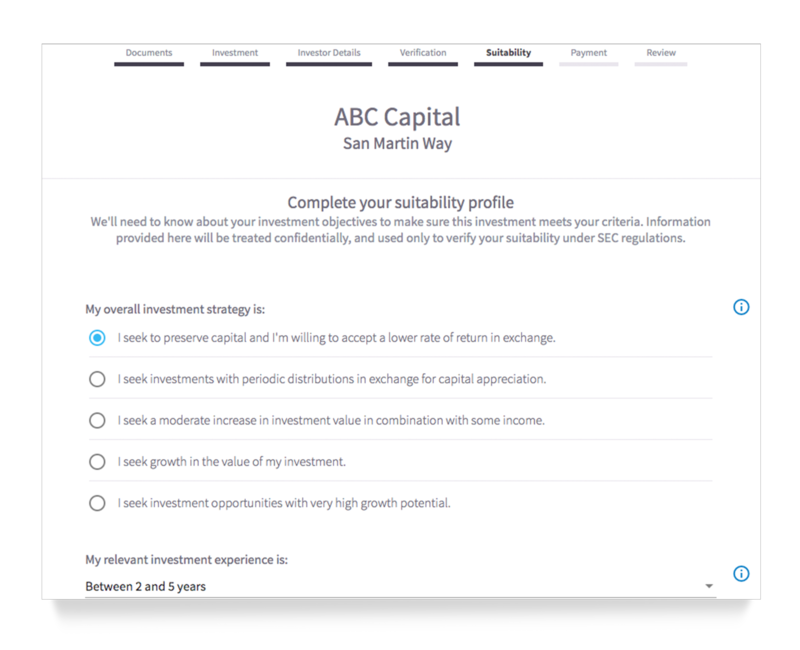 If you're already promoting your offering online, make it that much easier for your investors to subscribe to Reg D or Reg A offerings in minutes by adding the Invest Button to your website. 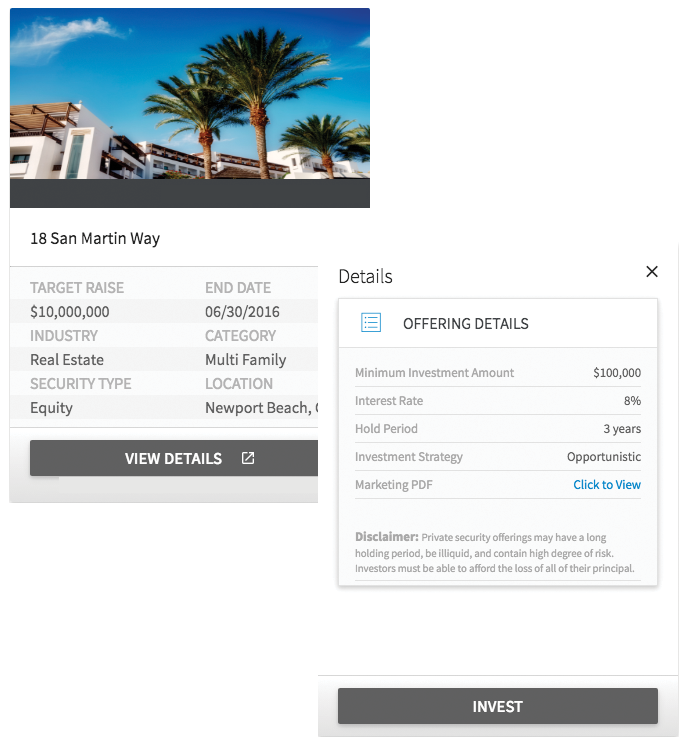 The Invest Button technology can also be sent via email or included on investment portals. 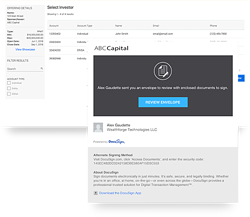 DocuSign agreements, pre-populated with investor information, are sent directly to investors’ inboxes—no login credentials to remember or personal information for them to fill out. 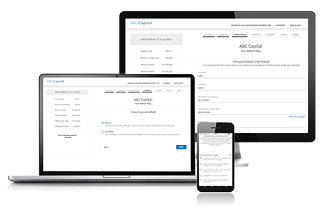 This reduces errors and saves time, getting investors through the subscription process as quickly and efficiently as possible. 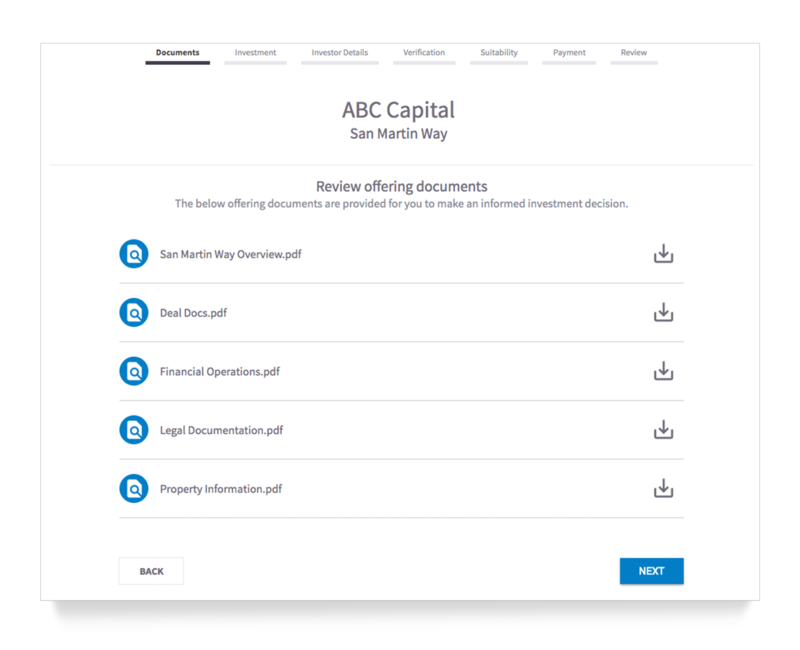 Investor accesses the investment platform via the Invest Button on your website and can review offering documents. for KYC, accreditation verification and suitability checks. 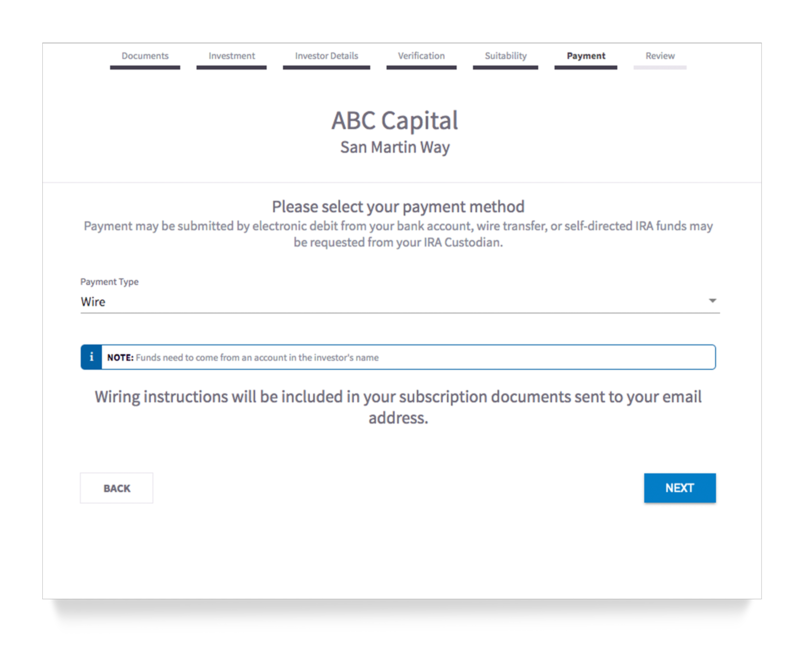 Investor enters payment information and automatically receives a pre-filled subscription document for e-signature. SPENDING TO CORRECT NIGO ERRORS? NIGO (not-in-good-order) documents are investor subscriptions that are submitted with errors or missing information which must be corrected before they can be processed. 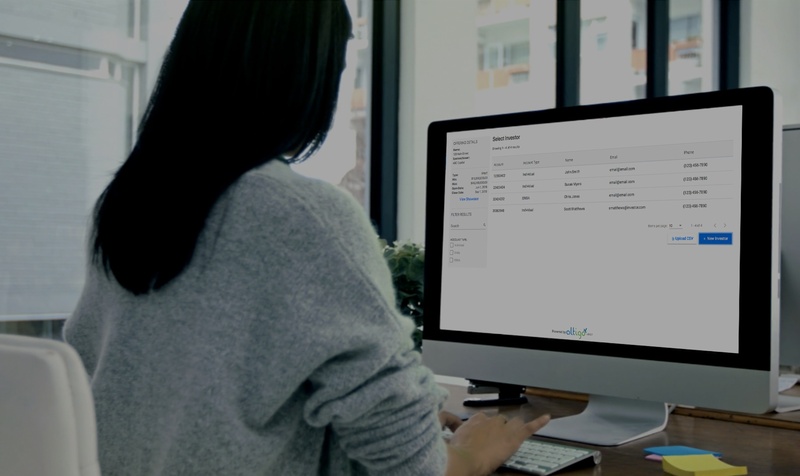 With subscription automation technology, NIGO rates can be reduced by up to 93%*, resulting in more documents being delivered "in-good-order" the first time. 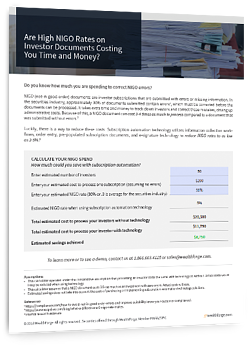 Learn more about how high NIGO rates cost companies money and productivity and how technology can help. * Based on internal research estimates. Past performance is not a guarantee of future results.